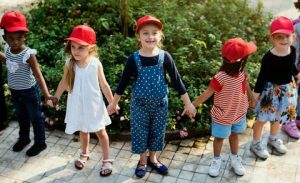 An outdoor field trip can be a positive experience, especially when children are well-prepared. Here are some teacher-tested hints for helping preschoolers get ready for outdoor field trips. Talk with the children about the field trip site. Several times before the trip, share pictures, videos, and other resources related to the destination. Read aloud from picture books about animals and plants they might see there. Talk with the children about their questions and ideas about the field trip site. Ask them to predict what they might see and do there. Help them write questions and predictions on a list or question table. Tell the children what to expect. Try making a timeline or storyboard to show what will happen during the trip. “You’ll get on the bus with the teachers. We’ll ride for about 20 minutes. When we get to the park, we’ll…” You might invite children to act out this plan. Review field trip safety rules with the class several times. “Stay with your small group. Walk on the path. Before you touch anything you see, ask the guide or the teacher if it’s OK.” Try using storytelling, puppet play, or role-playing to explain the rules. Tell the children which small groups they are assigned to for the trip. Before the day of the trip, let them meet the volunteers who will supervise them. Involve children in trip preparations. Let children count how many clipboards, markers, containers of water, etc. will be needed. Help children email site staff several days in advance to ask some of their questions. 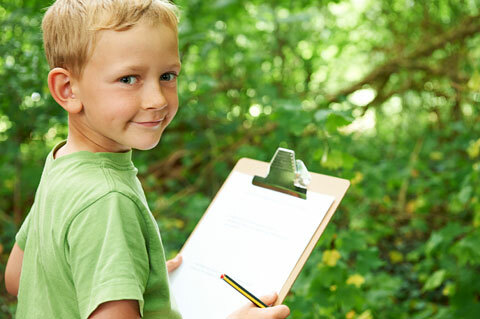 Let children practice doing outdoor field work. Take small groups “exploring” outdoors several days before the field trip. What sounds, smells, and sights do they notice? 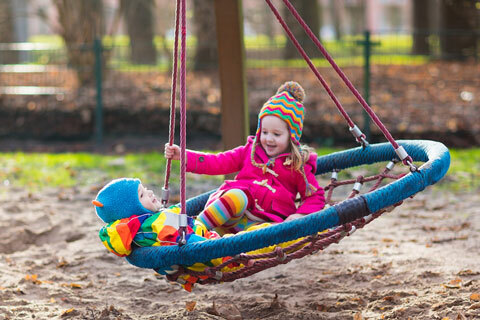 Invite them to look for insects or other living things on the playground. Have small groups of children practice collecting data outdoors near the school. Help them find rocks, plants, or animals to observe. Let them count, measure, sketch, and take photographs. Ask them to share their information with classmates. 09/2013 Comments Off on Playground Physics: Hang in There!